What MagicMurals.com Can Do for You! 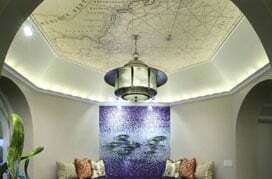 At MagicMurals.com we value the opportunity to serve each one of our customers with an unsurpassed level of personal care and service. Nothing is more important to us than taking time to assist you. That's why you'll always receive friendly, personal attention from an experienced member of our team. In today's fast-paced world, companies have become more impersonal with their approach to customer service. Not at MagicMurals.com, and we guarantee it! Some may consider our approach to be old-fashioned, but we think that's a good thing. We take pride in extending courteous and friendly service to every customer. 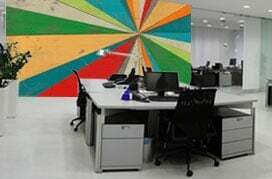 You can rely on us to do our very best to answer your questions and ensure that you have the information necessary to create the best mural possible. Simply email us at service@magicmurals.com or call us at 1-877-448-7295 to let us know how we can help. We want you to know that the MagicMurals.com team will provide you with the personal attention you deserve. Don't see exactly what you're looking for? No problem, just provide us the details. Our Image Specialists will search all available resources and make every effort to fulfill your request. Or, maybe you are just having trouble making decisions or need information about our products - we will gladly provide the information and reassurance you need to complete your order. At MagicMurals.com you'll discover an enthusiastic team ready to assist you. We truly value your business and strive to offer individual attention and the best service with every customer order. "As a business owner with a background in retail and specifically the graphics industry for the last ten years, I recognize the value of providing excellent customer service and the consequences when falling short. As CEO of Magic Murals, I can honestly say that our entire staff is focused on ensuring it exceeds the expectations of every single Magic Mural's customer. I have the privilege of working with a great team of dedicated professionals. If we are allowed the opportunity to serve you, we'll do our very best to guarantee you are 100% satisfied with our products and service." With over 15 years of building and growing websites, Scott helps ensure MagicMurals.com meets our customers' high expectations. Scott also leads our marketing efforts and focuses on helping new customers find our murals online. From initial image quality to print and process control to finished packaging and timely shipping, Drew and our production staff are completely committed to making your shopping experience at Magic Murals the best you can find online. In addition to ensuring our custom printed murals exceed your expectations, Drew strives to keep Magic Murals at the forefront of innovation and technology when it comes to your wall art, with thorough research and development of new materials and products that are always of the highest quality and easiest-to-use for our customers. Teresa works behind the scenes to keep our website up to date with the latest product features and image content. Her responsibilities include planning, defining, and implementation of website changes as well as functional enhancements to be sure you have the best experience possible while shopping our website. Jessica is here to help with any questions our customers might have! She has a strong background in customer service and is determined to get your project just right. As a graduate from Ashford University for Sociology and from Full Sail for Graphic Design, she has the heart for making sure the customer is put first and a trained eye for design to help them pick a design they will love. Dan uses his 20 years of experience in the arts, e-commerce, sales and marketing to assist customers in finding the perfect mural solutions for their project's needs, whether it be an interior designer looking for unique decor, a restaurant seeking a special look or a pediatric medical practice outfitting 20 exam rooms to provide their young patients with a more soothing environment. Dan also works closely with our artists promoting them through various social media channels and special events. Trivia: Dan worked on the very first online auction of an Ansel Adams original. With attention to detail and quality, Will ensures that your mural order is finished to specification before your order ever leaves our facility. He also utilizes his graphic design experience to provide professional custom wall mural designs as requested by our customers. Lisa’s responsibilities include quality control as she personally inspects all murals to be sure they meet our expectations before packaging and shipping mural orders. Following inspection Lisa carefully prepares the murals for shipment to be sure they arrive at your door in excellent condition. Natalie has a great eye for design and over 13 years of experience in the industry. One of her many strengths is listening to customers and designing the perfect mural that they will be thrilled about and enjoy seeing on a daily basis in their home or business. From website graphics to custom mural designs, she looks forward to every unique request that comes her way! As a graduate of Savannah College of Art and Design, Noelle has a strong background in the art and design field. Noelle provides personal service to our “custom wall mural” customers with special request images and graphic design assistance. She also works directly with all Magic Murals' artists and finds new content to enhance our Magic Murals gallery.